In a recent study of certain merging-splitting models of animal-group size (Degond et al. 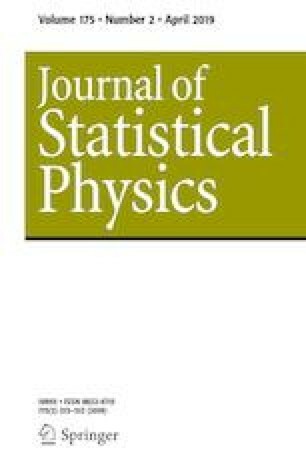 in J Nonlinear Sci 27(2):379–424, 2017), it was shown that an initial size distribution with infinite first moment leads to convergence to zero in weak sense, corresponding to unbounded growth of group size. In the present paper we show that for any such initial distribution with a power-law tail, the solution approaches a self-similar spreading form. A one-parameter family of such self-similar solutions exists, with densities that are completely monotone, having power-law behavior in both small and large size regimes, with different exponents. BN and RLP acknowledge support from the Hausdorff Center for Mathematics and the CRC 1060 on Mathematics of emergent effects, Universität Bonn. This material is based upon work supported by the National Science Foundation under Grants DMS 1514826 and 1812573 (JGL) and DMS 1515400 and 1812609 (RLP), partially supported by the Simons Foundation under Grant 395796, by the Center for Nonlinear Analysis (CNA) under National Science Foundation PIRE Grant No. OISE-0967140, and by the NSF Research Network Grant No. RNMS11-07444 (KI-Net). JGL and RLP acknowledge support from the Institut de Mathématiques, Université Paul Sabatier, Toulouse and the Department of Mathematics, Imperial College London under Nelder Fellowship awards.